Ainu houses in Hokkaido. 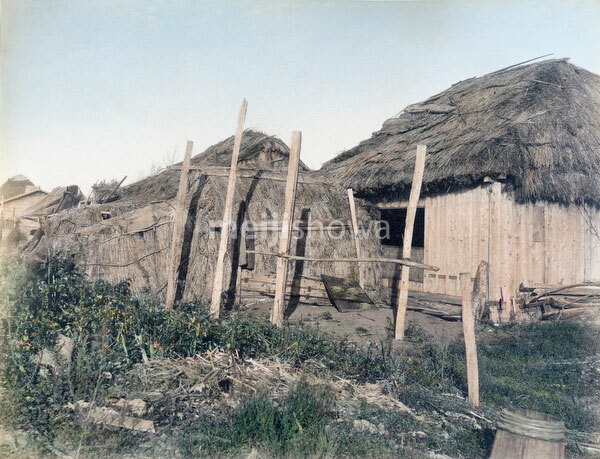 The walls and roofs were made of ditch reeds and or cogon grass. On the right is the main house, called the omoya. Next to it is the maegoya annex. The Pole in the foreground was most probably used to hang and dry fish.